Ever wonder what happens to the thousands (I’m just guessing at that number) of scripts that never turn into a film or TV series? Well now you’ll get a chance to read some of them. According to The Huffington Post, a new website will make them available for anyone to download. Film and television director Hubert de la Bouillerie launched EMovieBooks.com as the first online company to sell Hollywood writers’ stories electronically for downloading on iPads and eReaders. 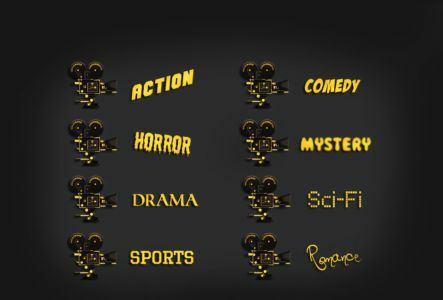 In addition to offering screenplays in traditional formats, the site will also feature its own unique format that removes direction cues. The site also offers published and unpublished novels and novellas and film and TV treatments compiled as short stories. Initially the site will only feature unproduced scripts by film and TV professionals who have at least one creative credit on IMDb. On the site already are works by writers like Mark Medoff, Robert Klane, and Warren Lewis. What excites me the most about this idea is that it sounds like someday they may open up the site to new writers who maybe aren’t professionals yet. This could be another way who’ve written something great to get it out there and seen by more people.